Good - I added 1/2 cup chopped walnuts. I really enjoyed this panna cotta- the addition of lemon zest and cinnamon to the milk base added a little umph to the flavors, but the real star was the vanilla. The texture was just right for me too- some folks may mind that they are too delicate to unmold. While that takes away some of the excitement of plating (will I unmold cleanly? )- I am ok with that! Tasty easy dessert- nice twist on using rhubarb. I didn't have orange on hand, but I would imagine the orange is amazing with the rhubarb- it is still good without. 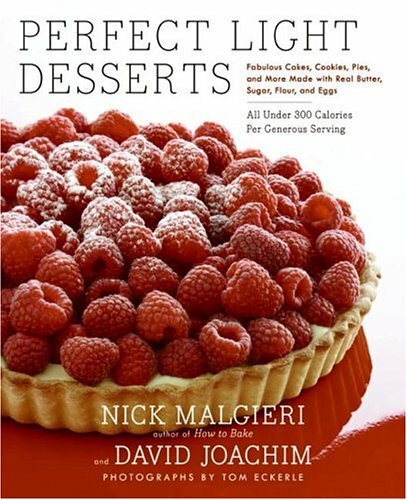 The results are nothing short of spectacular, with desserts that range from devil's food cake (complete with fluffy icing) to a lemon custard highlighted with a colorful raspberry sauce. Old-fashioned American favorites such as hermits mingle with sophisticated treats like rum raisin semifreddo and white chocolate raspberry tartlets. Best of all, while these desserts are low-calorie, they are high in flavor. Moist coconut poppy seed coffee cake, juicy blueberry pie, and fudgy brownies don't taste like "diet desserts"; they simply taste great.